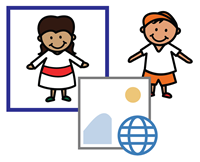 TechnoKids has updated ALL Office 2013, Office 2010, and Office 2007 technology projects with new clip art instructions. A few months ago, Microsoft eliminated the Office.com clip art gallery. The gallery contained a collection of free, high-quality illustrations, photographs, sound clips, animated gifs, and videos. Teachers and students used these resources to create newsletters, presentations, digital stories, and more! TechnoKids updated project instructions to include search tips for Bing content, alternate sites for resources, troubleshooting ideas, and optional extension activities. These improvements will provide teachers with the tools they need to integrate Microsoft Office applications such as Word, PowerPoint, Excel, Access, and Publisher into curriculum. Teachers contact TechnoKids asking for solutions to the removal of the Microsoft Clip Gallery. They miss the collection of resources. This is especially true for teachers using Office 2007 and Office 2010. Although content from Bing is available as a replacement for Office.com in older Office versions the search results are limited in comparison to Office 2013. Read this blog post to learn about solutions to the removal of the Microsoft Clip Gallery.